Hello, everyone and welcome to my first ever Design Team project for My Cricut Craft Room! I am super excited to share projects alongside my fabulous DT sisters. This week's theme at MCCR was all about Water! What could be more fitting for these ridiculous summer temperatures than to make a Waterpark layout!? Perfect, right? 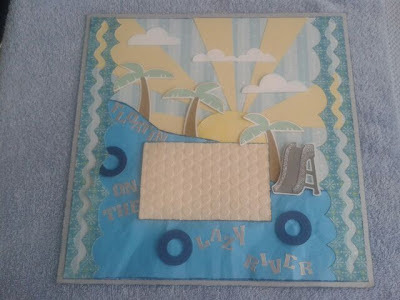 To make this layout, I cut the body of water by hand, because I wanted a more free form shape. If you wanted to, you could absolutely use your Cricut for the water. 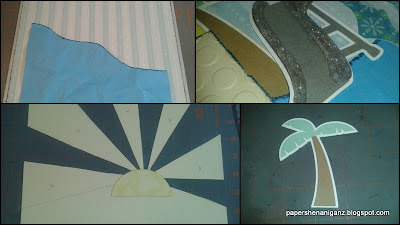 I then began to work on the rays of the sun. I simply cut every other diagonal line out to form "rays" shown in the above collage. I then assembled my palm trees, which I cut at three inches using Cricut Craft Room design software. 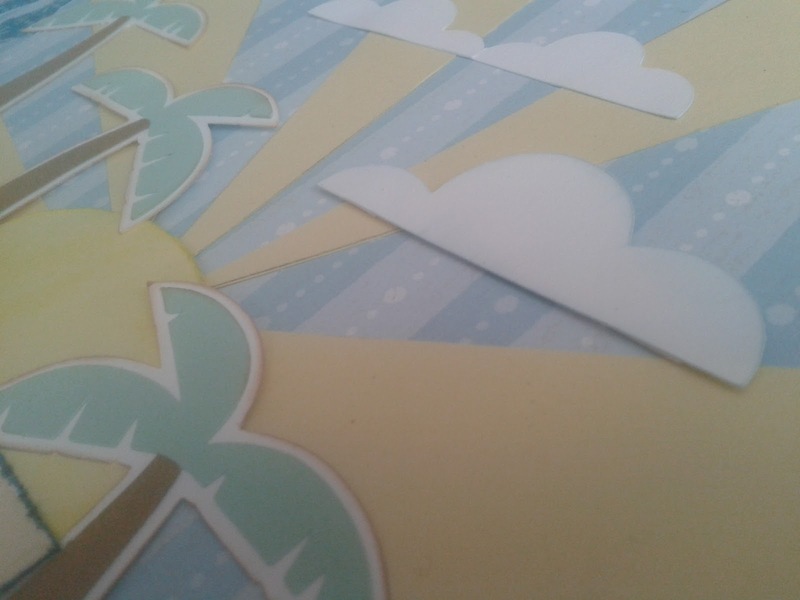 I got the palm trees from the Cricut Cakes Birthday Cakes Cartridge. I then moved on to the slide, which I got from the Playground Equipment Cartridge on CCR. The slide was cut at two inches. I added some silver glitter glue to the slide to catch the sunlight, like real water would. The clouds are from Spring Holiday Cards, and they were cut at one inch. Cartridges Used: Spring Holiday Cards, Stand and Salute, Plantin Schoolbook, Chore Chart, Birthday Cakes. Ink: Indian Corn Blue from CTMH. If you like what you see, please feel free to follow my blog to keep up with all my projects as they're added. This is such a cute and soft looking layout. 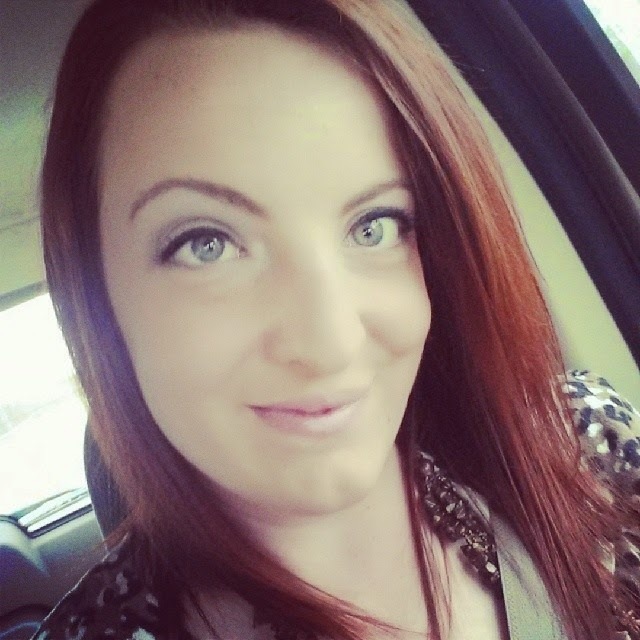 Melissa, you did an amazing job on your very first post for the team! I love the colors and all the details! the colors and textures are great!